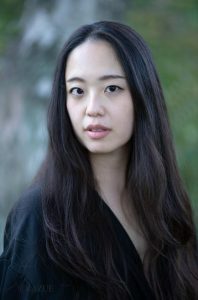 Aya Yoshida is a Japanese composer. Born in Kobe, Japan in 1992. She began composing at 6 under the guidance Mrs.Yasuko Osato. She graduated from Toho Gakuen School of Music in Tokyo under the tutelage of composition lecturer Kenya Masakado and Prof.Masaki Norikura in 2014. She also studied composition theory and classical piano performance with Prof. Masaki Norikura. She trained in violoncello and classical vocal with lecturer Yoko Hasegawa and lecturer Kei Yonashiro during her time in Japan. Since 2014, she moved to Copenhagen,Denmark and she completed her postgraduate studies in composition with Niels Rosing Schow and Jeppe Just Christensen at The Royal Danish Academy of Music. Her works have been performed in Japan and Europe by diverse range of soloists, ensembles and orchestras, including the performances by Curious Chamber Players in Viitasaari, Finland (2013), by Arditti Quartet (2014) and by Danish Radio Symphony Orchestra (2016) in Copenhagen, Denmark. Moreover she just had her very first opera “Skyggen (The Shadow)” in Copenhagen, Denmark on 16th and 17th November 2017 to celebrate the 150th anniversary for the diplomatic friendship between Japan and Denmark following with the official event of the Japanese Embassy in Denmark and the Danish Ministry of Culture. Also the opera was awarded by Danish Arts Foundation for The best 10 music publishing/releasing of this year. She is often inspired by fashion when she composes her works and her works’ titles are often coming from fashion terms, for example, Polka dots, Tone on Tone Check, and Pointed toe.